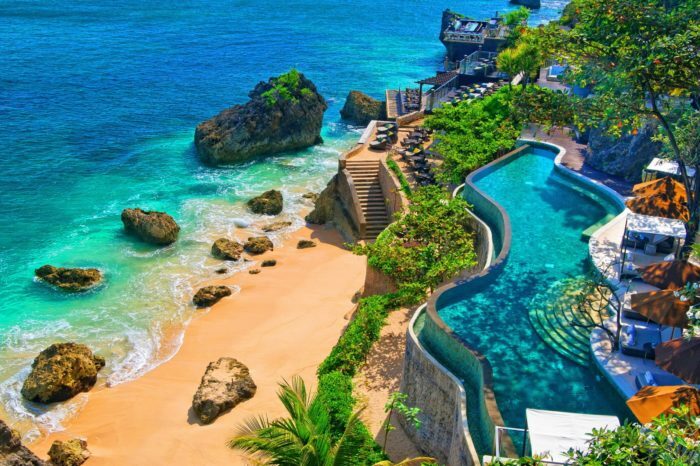 Travel to Bali and discover Indonesia’s beautiful island escape. 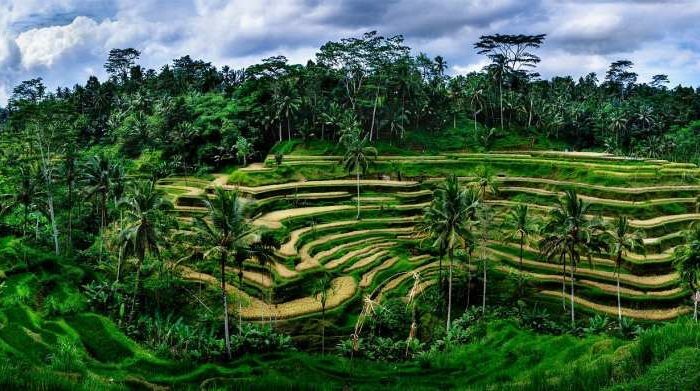 Dotted with small, character-filled villages, smouldering volcanoes rising out of lush rich fields, idyllic beaches and colourful reefs, Bali is the perfect island getaway. Conquer the slopes of simmering Mt Batur, explore an underwater world in Bali Barat National Park, feast on delicious Balinese cuisine and enjoy moments of absolute peace in Pura Ulun Danu Bratan, a Hindu-Buddhist lake temple dedicated to the goddess of the waters. Fall in love with the warmth of the people, the ornate customs and welcoming culture that is synonymous with beautiful Bali. There is one very early start – your sunrise climb of Mt Batur kicks off at 3 am. This means you’ll be walking over some gravel and volcanic rock in the dark. Head torches, warm clothing and good walking shoes are a must. The view at sunrise is well worth the effort, especially if the weather’s fine! We visit villages and small towns on this trip, where life is more conservative than in the tourist areas. You will need to bring clothes that allow your shoulders and knees to be covered for both men & women. At some hot springs you will need to wear a t-shirt and shorts over your swimwear. Bali is blessed with a consistent climate for most of the year. However, the rainy season (usually October–March) brings frequent downpours. The good news is that these rainy bursts don’t last long, and it is usually still warm. Led by your local guide, you will tour Ubud on foot today (approximately 2.5 total). Take a local bus for 15 minutes to the starting point of your walk. Along the way you’ll see the goings-on of daily village life, rice fields, an alang alang valley (wild grass that is used for making the roof on traditional buildings), and visit a local painting and handicraft area. The tour ends in central Ubud where you’ll have time to explore the many cafes, galleries and shops on your own. Today you’ll also visit Bumi Sehat, a local community-based health clinic whose mission is to reduce maternal and child morbidity and mortality. Set off by bicycle (approximately 2.5 hours) through backstreets, quaint villages and rice fields – a great way to meet the local people and take in the lovely views. About 1.5 hours of the cycling is downhill, so you can save your pedal power. Along the way, you’ll make stops for photo opportunities and to rest if you need to. There are plenty of opportunities to visit some of the small and intricately carved temples. Your ride concludes in Ubud. Next, head for the hills and the village of Sidemen, travelling by minivan (approximately 2 hours). Set against a backdrop of Bali’s highest peak, Mt Agung, the peaceful and friendly village of Sidemen is proof that Bali has pockets tucked away from the tourism the island is famous for. It’s a little cooler up here, thanks to the elevation. Take a morning walk (approximately 2.5 hours) around Sidemen, visiting the craftspeople of the local songket weaving industry. A traditional ‘bungkus’ lunch is included. The walk is a great chance to take in the beautiful scenery. Continuing your journey higher into the mountains, drive along the crater rim road to a fishing village on the edge of Lake Batur (approximately 2 hours). 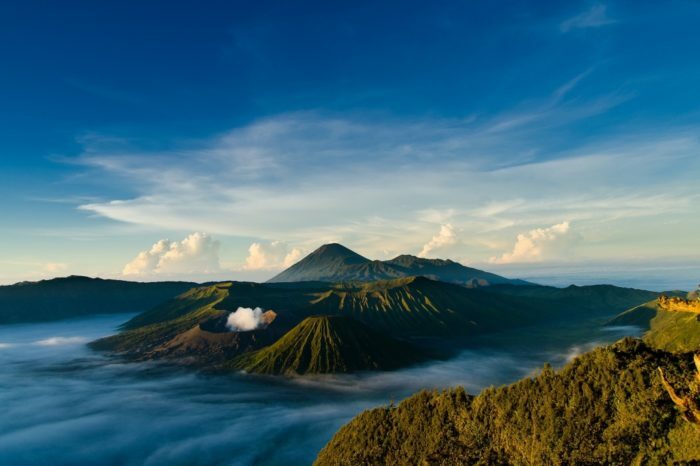 Volcanic Mt Batur (1,717 m) sits inside a stark and spectacular caldera, and with Lake Batur below it’s a stunning sight. The lake supports the local fishing industry, while many of the villagers work as guides for the volcano climb. Your accommodation at the base of Mt Batur is a basic hotel with a restaurant. This is a great location at which to start tomorrow’s early morning trek without extra travelling time. There are often mosquitos and bugs around Lake Batur, so be sure to pack your insect repellent. Long pants will be useful today to protect from insects. Let up at 3 am this morning to walk to the summit of Mt Batur (approximately 1.5–2 hours). You’ll be glad you made the effort to rise early when you see the gorgeous sunrise over the valleys of Bali. On a clear morning, it’s possible to see all the way across the Lombok Strait to the peaks of Lombok’s Mt Rinjani. This may well be one of the most memorable parts of your trip. Do keep in mind, however, that the weather can be unpredictable and sometimes the view is obscured by clouds. After descending the volcano, there’s an option to soak in hot springs with fantastic views over the lake and caldera. Make the journey from the mountains to the small coastal town of Lovina (approximately 3 hours). Lovina is famous for the dolphins that patrol its coast. It’s also a great spot for fine food, traditional massage and yoga. Enjoy a day of snorkelling on Menjangan Island reef, a short boat ride from the coast (there will approximately 2 hours of travel in total). This island and its coral reefs are part of the Bali Barat National Park. On the way back, stop at Banjar Hot Spring, a small spring popular with the locals. Tonight we head to Ibu Wayan’s to learn about Balinese cuisine and have a home cooked meal. After a storm or erratic weather there can be a problem with rubbish in the water around Menjangan, and also throughout Bali’s coastal areas. This morning you will head to the tiny hilltop village of Munduk (approximately 1 hour). Walk through clove and coffee plantations to a hidden waterfall. Visit Lake Bratan nearby for delightful views of Pura Ulun Danu Bratan, a Hindu-Buddhist temple set on a small island in the lake. Continue to Bedugul (approximately 1 hour). This mountain town is nestled in the cool and misty highlands, in a volcanic lake region covered in lush vegetation. Your warm clothes may come in handy for early mornings and evenings here. Visit the Bali Botanical Gardens in Bedugal. Here, over 2,000 species of plants from all over Indonesia are on display in a tranquil highland setting. Continue by minivan to Sanur and enjoy some free time there in the afternoon. Perhaps enjoy a stroll along Bali’s first beachfront walk, chat with the locals as they too enjoy the sea and sun, watch the fishermen in the shallows or kick back and relax at one of the beachside restaurants. Get a feel for the traditions and local customs which are well maintained here. Ancient temples are easily accessible – just a short distance away from the beach.